I used to be very sceptical about skincare and always thought that one facial was mostly similar to another- baring the therapist's skills- until it was time to set my own practice up. I was the quintessential BOGOF girl! Ingredients are extremely important in skincare. It makes a big difference when the right ingredients are used. Delivery systems ie how the ingredients in a product reaches where it needs to go- is almost more important. You could pay a lot for a good ingredient but if it doesn't reach its target area, what's the point? Marketing: Sadly enough, this is one area that actually puts me off. Its so expensive to market in magazines etc that I'm certain that a heavily marketed products have no choice but to put a huge mark up on their prices. To me, this reads as " for a £100 serum, £50 is marketing, then research, packaging, profit margin etc". So I tend to look for smaller companies with excellent products but too small to afford paid celebrity endorsements. The right product works. If people say nothing works, its because they haven't found the right product. Or they have hormonal/nutritional issues- which is another blog topic that I will address soon. The right product should nurture and nourish as well. Some rather well known medical cosmeceuticals are well known for 'attacking'. So initially, they come across as having great results, but after a while, the skin can't handle the continuous assault. I stumbled upon Intraceuticals while researching the best system for my clinic. There are very few facial systems I would consider 'medi-grade' and this was one of them. The good thing about trying things out is firstly- I get good skin : ). secondly- one can really compare and contrast. Sonia of Intraceuticals did me a huge favour when I first met her for a demo. She was a little flustered, and had an A-lister waiting and so had to cut my session short by doing only one side... I was not impressed, to say the least. The treatment was nice enough, as I would have expected and there certainly were results- once again to be expected. I'd pretty much written it off at that point. Then I started seeing results. 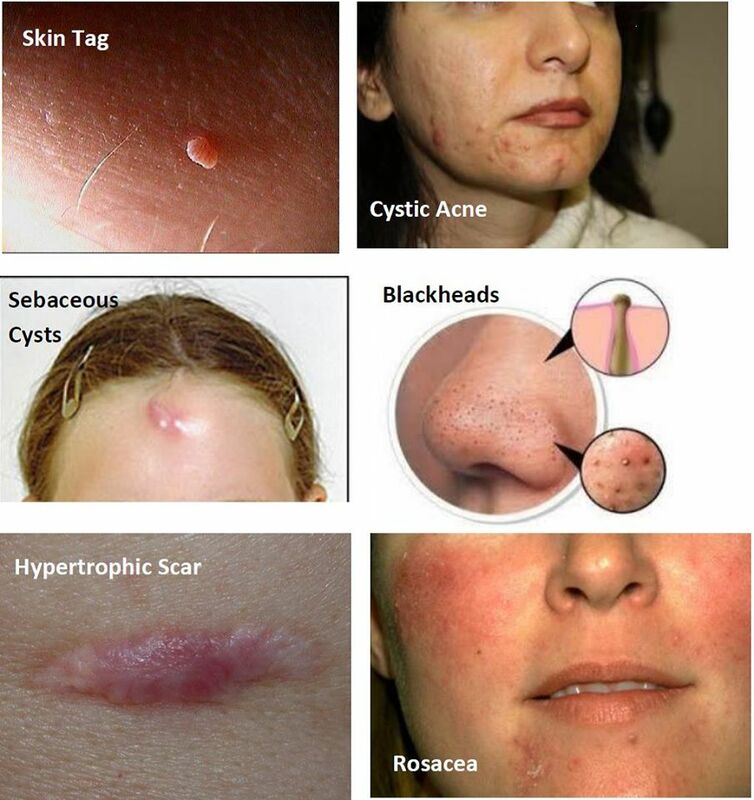 Its easy to forget how your face is once you've had a treatment- we all assume its great! But having it on only one side really makes you examine the face. My skin plumped up after the treatment; then continued plumping for 2 whole days before it settled. On my skin, best results were achieved after 2 days. In others, its a day. The results then stayed on and on. I was convinced that it was all in my head and so I did what anyone would do- ask the other school mums to guess which side was done. I didn't tell them what I did, just that I fiddled with one side of my face. They all guessed correctly. This was on day 9. I kid you not. At this point, I knew that I had to go back to see this system again. Thankfully, Sonia was in a much better place -I actually had my whole face done- and was given some take home products. I've never looked back. What I like it best for is that it was the only product that 'normalised' my skin. What I mean by that is that I would wake up in the morning and not think about my skin- no tightness, dryness, excess oiliness. It just was. I stopped using foundation as my skin didn't need it anymore. Most people who have been on it say the same. When combined with other skin care that 'attack', results are wonderful. Its a hyaluronic acid based system that has 3 different sized molecules that penetrate different depths of the skin. That's superficial to deep plumping to the layperson- one reason why the results last so long. It also has boosters of Vitamin A, C, anti-oxidants and collagen, which can be added for extra oomph! The treatment uses an oxygen delivery system to literally push the ingredients deep into the skin. Each vial of product is packaged in amber bottles (for sun protection) and sealed individually. So you get fresh products every time. There is a lot of thought put into it, which I appreciate because it makes our job easier- my only gripe being that the bottles are not see through so its hard to tell when its finishing. Their products have one step more than others- how I like to explain it is that you feed the skin (serum), you give it a drink (hydration gel), you then seal it all in (moisture binding cream). I'm usually very lazy about skincare but its so ingrained in me now that I can't not do it. So all well and good for the likes of me- I get to use the machine anytime I want, right?.... In all honesty, there is hardly any time for facials and I'm lucky if I'm able to squeeze 1 in every 2 months. But I use the take home products religiously- and that makes all the difference in the world! Under eye problems are some of the hardest to treat with no one single 'fix it all' solution. The reason for this is because the cause differs in different people and you'll find that usually, the best course of action is a combination of different treatment modules to treat different issues at the same time. There is also quite a bit of confusion regarding 'bags' and 'circles' and quite a lot of self mis-diagnoses. Just to add to all the confusion, many people have more than one 'under-eye' problem going on at the same time, complicating the situation even more. under eye filler or tear trough filler, especially Teosyal Redensity 2; this has light reflective properties so it can help with circles. However, if there is no hollowness, it may not be the right option. This needs to be assessed as not everyone is suitable for this procedure. the right under eye cream which can diminish pigments. the right sun care to prevent new pigmentation forming. Even in winter. skin thickening products/treatments if the problem is due to very thin skin. Increase in skin thickness means that structures underneath (eg blood vessels) will be less obvious, hence less darkness. filling the area beneath the problem area, hence decreasing the shadowing. This is a bit more complicated and occasionally a 2 step process. for some, especially if its fatty deposits, surgery is the only option. I do believe that one can buy a few years before resorting to surgery with the right filler material and technique. bagginess due to fluid is quite hard to treat as its almost always due to intolerances, most commonly to food. You'll probably find that there is fluid retention elsewhere. Do read my links for 'lifestyle management' to get a better idea of what it entails and also the nutrition links in my blog pages. On the whole, quite a few things can be done but it may be a slightly prolonged process and may require more effort than other areas of the face. The rewards however, can really be worth it! Just thought I'd share an interesting video I came across in one of our medical aesthetic journals "Aesthetics". It has over 13 million views, an amazing soundtrack but most importantly, is very interesting in what it shows ie. the changes that occurs with sun exposure. that he (the cameraman) decided to show what a baby's skin looked like as well, in contrast to adults. 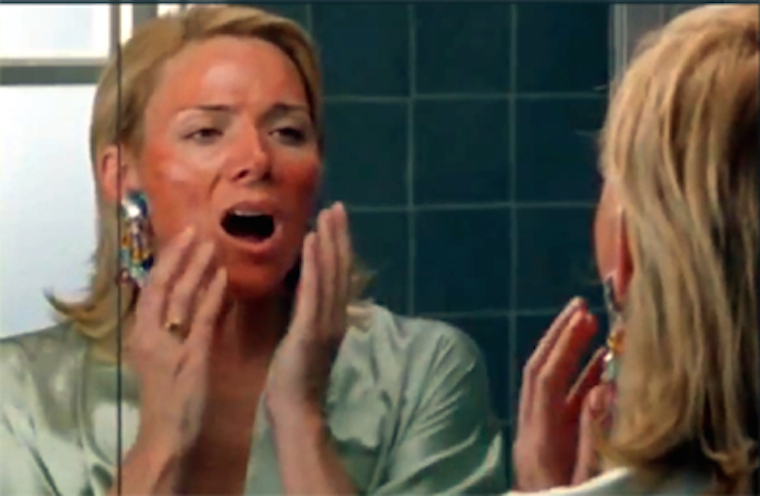 I want to tan and so prefer not to wear a high SPF- this is not true. If it were, Asia would be a hotbed for sunscreens as lighter skin is preferred there. Sunblock (as opposed to sun screen) however, may block some of the tanning capacity of the skin. SPF 30 is sufficient. Why do I need more?- this is true but considering that the average person usually puts too little on and tend not to replenish often enough, a higher SPF would provide better protection. If however, you are really on the ball about sunscreen application, then SPF 30 is sufficient. High SPF is very thick and looks awful on- mostly true in the past and many products today still have this problem. This is one of the areas where you get what you pay for. Newer formulations are simply wonderful and most can never tell that it has a higher SPF. We stock Heliocare which is what I use personally. I like them because of the protection offered, consistency and the range they have, including their latest product range for 'more damaged/mature' skin type which offers close to SPF 90 (written as 50+) and cover not only UVA and UVB but also invisible and infra red spectrums. There's also internal protection in the form of capsules for those who burn very fast. Our bestsellers are the tinted ones and the 'shimmer'. What about Vitamin D?- this is an area I have concerns about, especially when it comes to little children. Whilst protection is required, I don't think we should be over zealous about applying it as it can hinder vitamin D formation in the skin. What I personally tend to do is to protect my face but less so on my body. Also, I tend to protect more during the hours when the rays are the strongest and ease off when its not. I believe a balance is required as there is simply not enough research done in this area. I love it. Apart from the obvious wants from sun protection I look for something that works well with my skin and make-up. The gel (along with all the others) has the most delicious scent - you could almost eat it (don't!). It glides onto the skin and leaves no residue. This was the big thing for me, I hate sunscreen that leaves your skin sticky, shiny and greasy. Applying my foundation was normal as the gel absorbs so quickly onto the skin that it was undetectable. In fact, I think it helped smooth my foundation out. Throughout the day my make-up remained flawless and no residue was given from Heliocare! I'm very happy with my new sun protection! In time for summer, Heliocare has arrived at Harpal clinic. A medigrade product which contains fernblock (FernBlock® is a natural extract derived from the fern plant Polypodium leucotomos. Used as a sunburn remedy by native Indians for centuries). The latest in this range is Heliocare 360 which protects against all four spectrums of light ( UVA, UVB, Infrared-A and Invisible Light). For very sensitive individuals you even get sun-care in a bottle which is the Heliocare Ultra-D oral capsules, these contain vitamins C, D and E amongst other sun protective ingredients. You take these in conjunction with your usual sunscreen. Here at Harpal clinic we like to use Brush on Block, a wonderful handbag essential. This product is zinc and titanium based and contains SPF 30. It comes in powder which once applied is invisible to the naked eye, hence can be applied over makeup and replenished throughout the day. Come in and trial test this range which covers basic invisible block, tinted sunscreen and shimmer sunscreen. In addition to Spider Veins, did you know that with our ThermaVein we can also treat some of the most difficult skin problems, such as Skin Tags, Cystic Acne, Sebaceous Cysts, Black Heads, Hypertrophic Scars, and Rosacea.